In the late 2000s, blogging was a popular activity on the Internet. Most closet writers tried their hands at it, and brands tried to tap it to promote their products and services. Perhaps it was the first instance of influencer marketing. Now blogs are giving way to videos and images on social media, and influencer marketing has gone from strength to strength. Companies and brands, which have been worried about the dwindling reach on social platforms, have once again started engaging with influencers. A joint survey by the Internet and Mobile Association of India (IAMAI) and digital content design company YAAP has found that going ahead, seven out of 10 marketers in India plan to increase their influencer marketing budgets. Marketers have also realised that today's consumers prefer word of mouth over other promotional campaigns. Therefore, companies are increasingly exploring influencer marketing to engage their target audience. A while ago, influencer marketing accounted for a very small portion of overall digital marketing budget - sometimes as low as 1-2 per cent. However, brands are now allocating as much as 5-10 per cent for tapping influencers, experts say. Earlier, Twitter used to be the preferred platform for such promotion, but the emergence of visual content platforms has led to the popularity of influencer marketing. 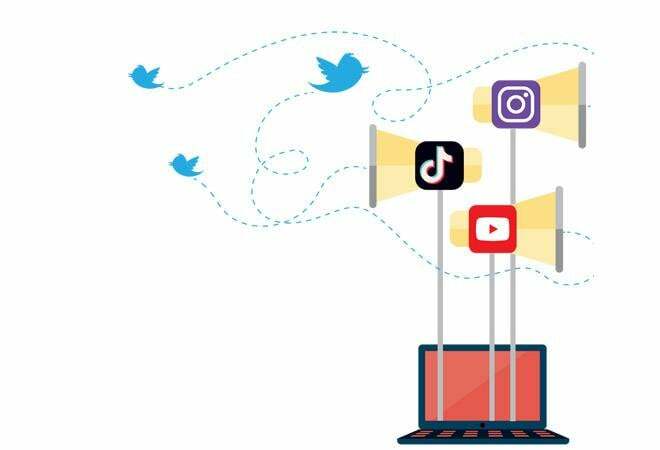 "More and more people are coming to platforms like Instagram and Tiktok (formerly known as Musically), and brands want to reach out to new consumers there," says Sanjay Vasudeva, Founder-CEO of Delhi-based influencer marketing firm BuzzOne. The popularity of videos has also led to this trend, as many video bloggers have huge followings and they are often tapped for promotional videos and brand integrations. "Video is ruling the market. It is ruling the entire digital ecosystem, and with an influencer in it, the video sends a strong message," says Priyanka Shah, Senior Director (Mobile) at Gurgaon-based digital agency Isobar. A high level of engagement is another reason why brands are keen to pursue it. According to the husband-wife duo Deepak and Payal Sakhuja, Co-founders of Bengaluru-based influencer marketing firm Ripple Links, one of their influencer marketing campaigns for a smartphone brand saw 50 million-plus engagements. "Be it a product launch or any other campaign, influencers are now asked to take part and that, too, in big numbers. Everybody has tested this model and realised that it needs to be done at scale," says Payal. Stories are all the rage right now, and after Facebook, LinkedIn is planning to come up with a feature similar to Snapchat's Stories. The concept, first introduced by Snapchat and later replicated by Facebook across its platforms, including Instagram and WhatsApp, has become quite popular. LinkedIn will initially roll it out for U.S. college students, but may soon launch it worldwide, says a TechCrunch report. Dom Hofmann, Co-founder of the video-looping app Vine that was discontinued in 2007, announced that he would soon launch a follow-up version of the app. The new one, called Byte, is expected to hit the market in the first half of 2019 and will sport a host of new features. Facebook has started rolling out an 'unsend' feature on its Messenger that allows users a window of 10 minutes to delete sent messages. The new feature is called Remove for Everyone and also leaves a tombstone mark to indicate that a sent message has been deleted. However, Facebook will retain such deleted messages for a while so that these can be reviewed for harassment and policy violation, should an issue arise.